Do you know what you want to do next year? Considering taking a gap year but want to stay active and busy? 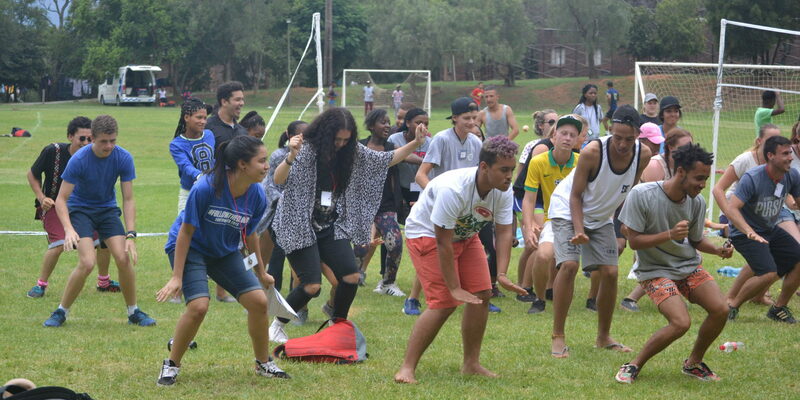 YFC- CYARA runs a Gap Year Program called “IKAGENG”, which means “Build Yourself”. We are in search of 4-8 suitable candidates willing to spend a year in the camping and hospitality environment. IKAGENG is a program for young people who want to reach out to the community and live out their faith through facilitation. This involves working on a campsite with various churches, schools, and organisations. The mission of Ikageng Gap Year team is “Building the Future Today”. We believe in the building of young people mentally, physically, spiritually and socially! The program runs for a period of 10 months. 1. ARA (Adventure Recreation Association) – giving the entry level experience that will spark interest, if wanting to pursue a career in the outdoors. 3. Extreme Life Facilitation – will give you the skills to design and run programs for all ages. During your time on IKAGENG your home from January – December will be at YFC-CYARA campsite, Hekpoort. The first two months will be the training period. After hosting camps, there will be same days to refresh physically and spiritually. There will be two holiday periods in the year being the last week of May and the first week of September (these dates are subject to change). There are scheduled mission trips over the duration of the year and this is included in your monthly fee. In December, we will close with a RE-ENTRY training for your time on IKAGENG. • A clear decision for Christ Jesus as your personal Lord and Saviour. • Have the ability to speak, read and write English. • Have a great capacity for team work, giving up of privacy, readiness to help others and the will to reconcile with others. • Able to adapt and live with other people from different walks of life. • Be physically able and willing to do life in the outdoors. • Have a heart for serving. • Have a police clearance. Your participation on IKAGENG requires a Training fee of R12000 broken up to R1200 per month which will cover all the above as well as your uniform. This fee can be paid over the duration of the year or as a once off payment. You will be provided with accommodation, food and a stipend of R400 per month for necessities. Please have 2 references for your application, one from a teacher/employer, the other from a church leader or minister. As well as a third letter which will be a personal motivation as to why you are the right candidate for the team and why we should consider you as an individual. Please note that references may not be done by a family member. Interviews will be held at YFC-CYARA. We will contact you on possible dates as soon as your form has been received. Or personally hand it in at YFC-CYARA Training Centre. If you would like some more information please do not hesitate to phone the office at (014) 576 2131.